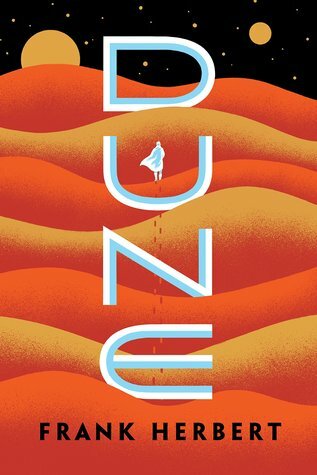 Dune is considered an essential work of science fiction winning both the Hugo and Nebula awards. Dune is the best-selling science fiction novel ever, laying the foundation for thousands upon thousands of other works of literature and film, most notably a little franchise known as Star Wars. Dune is huge. Way back in 1965, Frank Herbert created an expansive universe and influenced storytelling in a way that can’t be understated. Context aside, Dune is a political struggle and a story of revenge, all set in an exotic, immersive, dangerous planet of Arrakis. The cast of characters is extensive, the desert planet Arrakis is dry, and by Muad’Dib those sandworms are big. Duke Leto Atreides, his son Paul, and Paul’s mother Lady Jessica are members of the ruling class on the planet Caladan. Leto is politically savvy and pulls the strings of his empire with caution. The Lady Jessica is one of the Bene Gesserit, a member of the superhuman order that, through rigorous instruction and meditation, have attained telepathic powers. She teaches Paul the ways of the Bene Gesserit for his own benefit, but some believe she has ulterior motives. Duke Leto is appointed to become the ruler of the much sought-after planet Arrakis and supplant his rival, the Baron Harkonnen. Arrakis is valued across the galaxy for its one natural resource that can be found nowhere else: a powerful drug known as spice. The Atreides clan arrives on Arrakis, ready to take control of the spice-harvesting operation. Ever Leto’s adversary, Baron Harkonnen lies in wait, ready to spring a trap as soon as Leto lets his guard down. Harkonnen will stop at nothing to end the Atreides line, once and for all. Soon, the only life Paul has ever known is gone. All that is left to him are the unforgiving sands of Arrakis. Dune’s worldbuilding is clearly the novel’s strength. Arrakis is deadly and beautiful, its people are strange yet sympathetic, and the diversity of life in the niches of such a hostile planet is stunning. From the Fremen and their strange ways to the mystery surrounding the sandworms known as the shai-hulud, Arrakis is deep, dense, and alive. Even details of flora and fauna are explained, like the fact that due to the intense scarcity of water, the buzzards in the desert drink the blood from their carrion to survive. Another example – because sandworms hunt by sensing vibrations in the sand, the Fremen “walk without rhythm” in long, sliding steps to avoid attracting one of the gods of the desert. The mechanisms for life on Arrakis are interesting to read and never boring, as is often the case when authors expound on the details of their world. Arrakis is as much a character in its own right as any other character in the novel. The plot is basically a tale of Shakespearean revenge, and makes you feel like Paul’s righteous anger toward the Harkonnens is warranted (because who doesn’t just hate Baron Harkonnen). It’s a good archetype, and Herbert uses it well. If you liked The Lion King or Hamlet, you’ll feel right at home. The characters are good. I enjoyed reading Paul and Lady Jessica the most, and Gurney Halleck was a surprise delight to read. One holdover from more dated fantasy and scifi works is the use of third-person omniscient perspective, which can be a little jolting at times but doesn’t take away from the storytelling. Knowing what Leto AND Jessica AND Paul AND Duncan Idaho are thinking can be overwhelming at times. Dune’s worldbuilding is spectacular, and its characters and plot are good enough to keep you turning the page. The Dune you never knew you needed.